Christmas is a wonderful time of year full of family, fun, food…and overspending. Don’t sabotage your financial goals by overindulging with Christmas cheer. 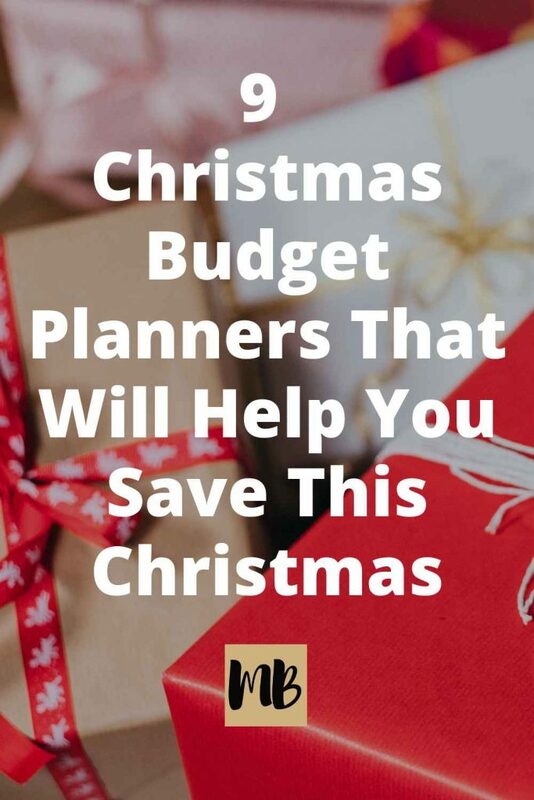 Stay on track with these 9 Christmas Budget planners that will help you save. 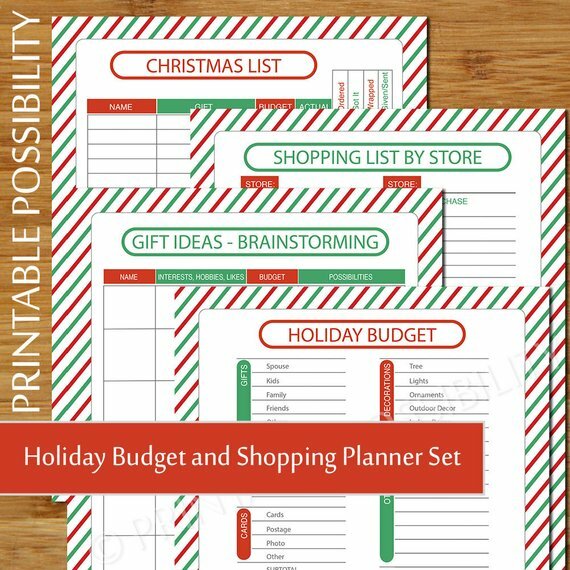 This beautiful 5 page red and green printable planner is a great way to plan all the essential elements of your holiday season. 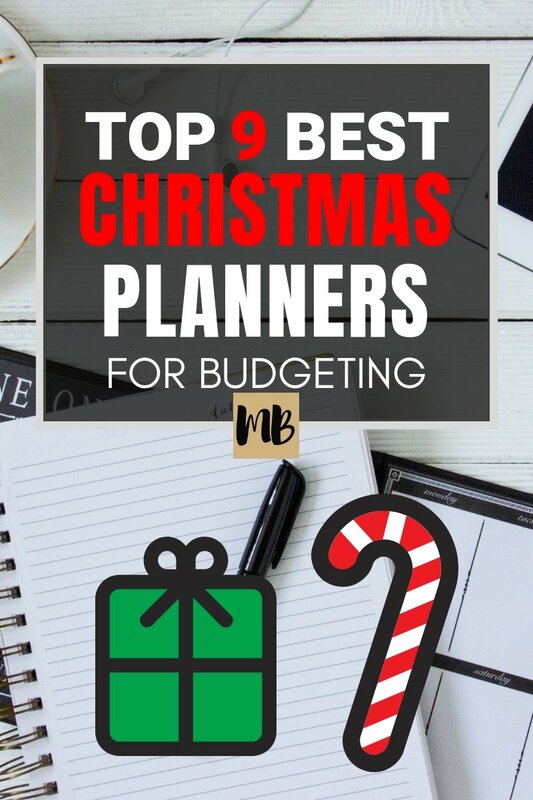 In addition to a budget tracking sheet, there are pages to plan your bucket list, your Christmas card recipient list, and more! 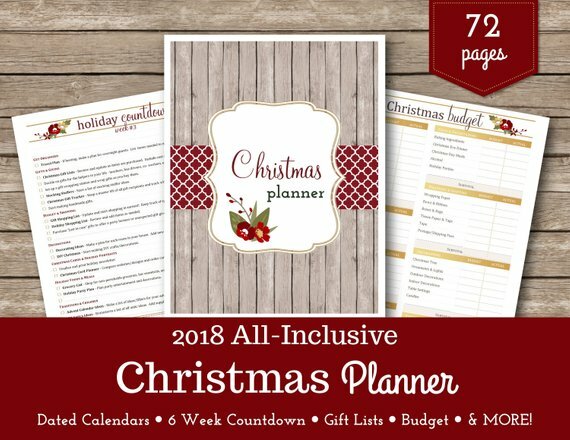 For the detail-oriented person who loves to plan, this 72 page planner is designed to help you execute every aspect of your Christmas celebrations from start to finish. 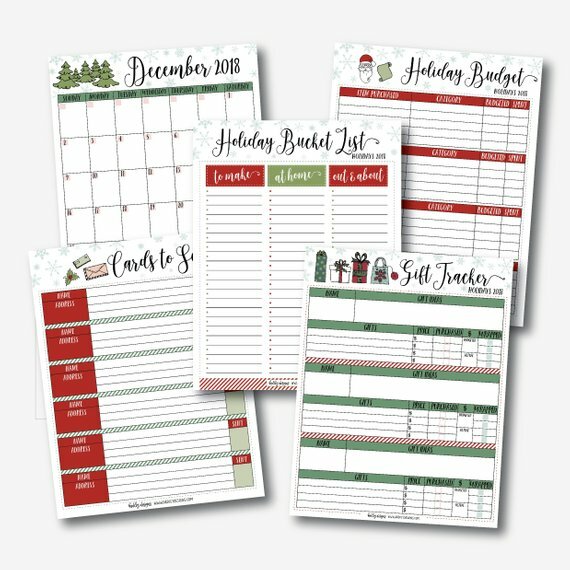 Break down your holiday preparations with week-by-week task sheets, outfit lists, travel trackers, gift lists, decor inventory sheets, and more! This brightly colored collection of 18 documents is perfect for organizing your meal plans, recipes, budget, and more. Print a hard copy or store and edit right on your computer! 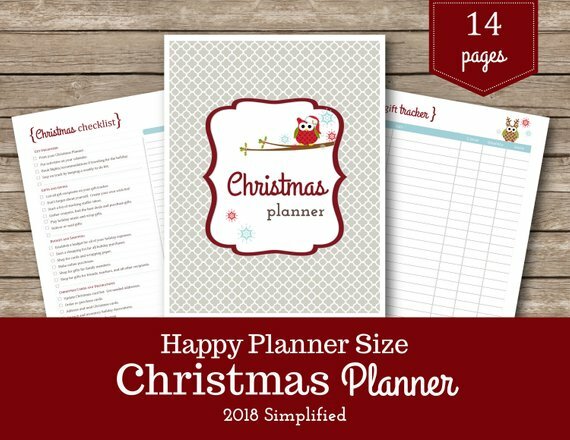 Organize all your Christmas activities including your Black Friday plans with the Classic Edition of this Christmas planner by Happy Organized Life. Making lists and checking them twice is a snap with these 14 documents! 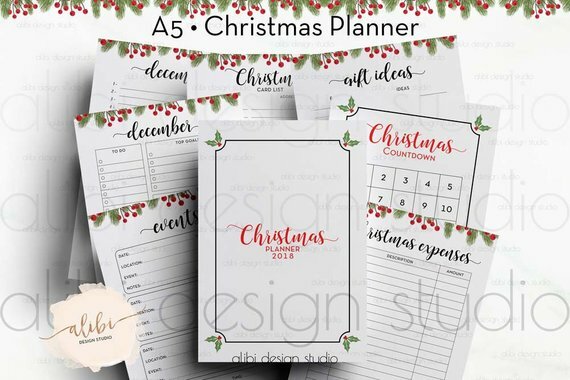 This simple 4 page planner has exactly what you need to plan your Christmas spending this year. From brainstorming to making your final purchases, this planner has you covered. 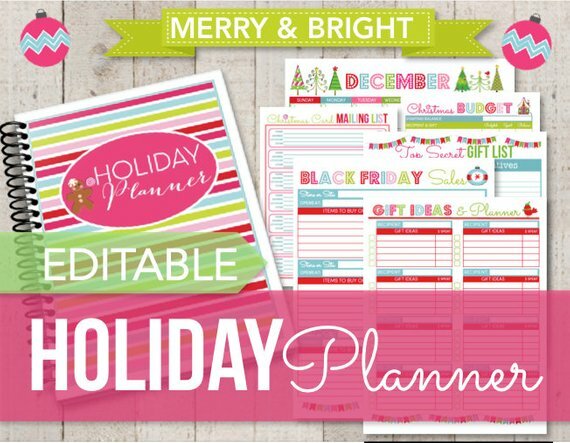 This pretty 14 page planner is the perfect addition to your classic sized Happy Planner. With a weekly to-do list, budget, gift, decor, and meal planning sections, this planner covers all your bases. 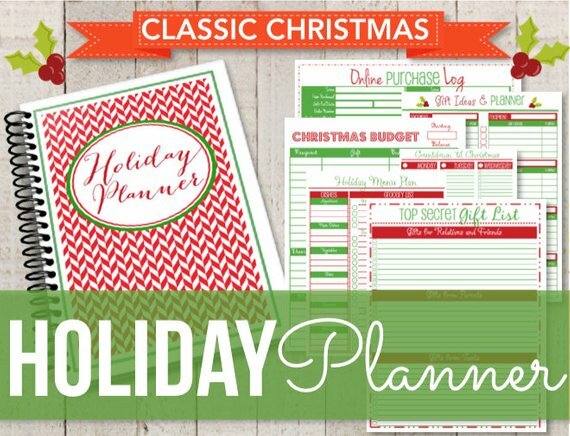 This great planner has space to track your spending and to plan out the traditions, decor, foods, and other seasonal delights you want to enjoy this year. 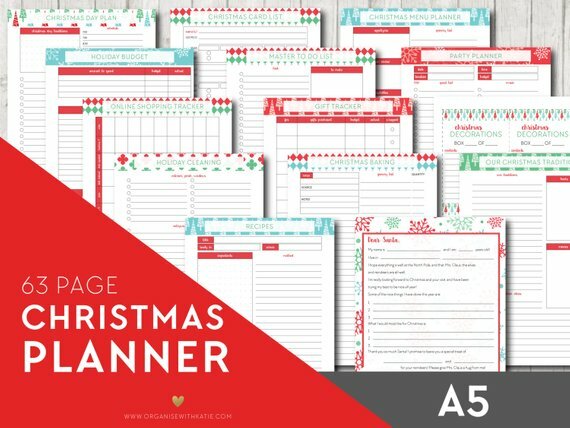 If Christmas is a big deal in your home, this is the planner for you! 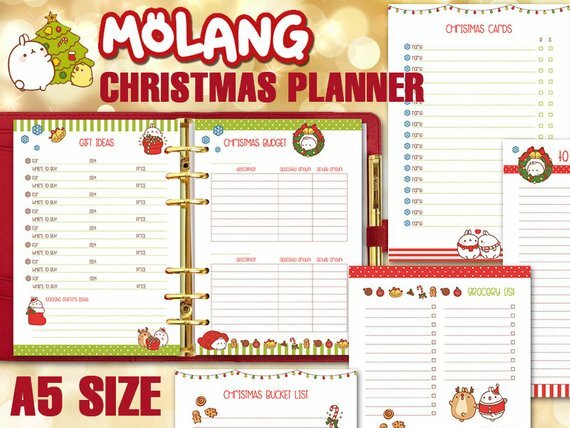 Plan your spending, favorite holiday events, and more with this Christmas planner by Filo Delight. Includes ruled paper so you can document those things that don’t fit neatly into the other sections of your planner. This comprehensive Christmas planner contains 63 pages of documents for crafting the ultimate Christmas experience. Map out all your spending, party plans, meals, outfits, and more! Pin this image below to save for later. With a little planning, you can have a happy and festive Christmas holiday without financial guilt. Which planner will you choose for your household?